"Matt is a terrific Broker, negotiator and friend. We purchased our first property through Matt and his team, and there is a reason why we will stick with them on our next purchase. His three areas of strength include: (1) Communication, (2) Persistence, and (3) Negotiating. During the buying process, we never felt pressured and Matt worked hard at presenting all the facts to us so we can make our decisions. He always kept us in the loop and prepared us with what the next couple steps were going to be so we were never surprised about anything. I can't emphasize how important his strengths are in helping us not only have our offer accepted but ultimately getting the best deal in a market where you usually over pay in a bidding war. Matt knows the Peninsula market very well, and he is very good at understanding pricing and supply. You want Matt as he is also familiar with the micro markets of the Bay Area. This is a result of him being a third generation Bay Area Realtor and his deep due diligence that goes into every deal providing him and his clients an edge over the competition. More important than anything else, we felt confident in Matt given his personal character and dedication to his community. We've been living in our new home for two months now and we couldn't be happier with our decision and going with Matt. We felt like we had an all-star cast working for us, which made a stressful nerve-wracking experience something to learn through and feel confident with the result. Thanks Matt for all that you do." "Matt just sold my condo for a fantastic price beyond what I imagined we could get originally, and he made the process as seamless as possible. His deep expertise in the Peninsula real estate market was invaluable, and his counsel was right on every time. He knows when to negotiate and how to navigate the sale in a way that's respectful to both the seller and buyer. He's also realistic and sets the appropriate expectations. Matt has a very broad set of connections in the industry that smoothed the stressful selling process at every point. He helped me get my place ready for sale and was hands-on with staging, photography, etc. He and his team did a lot of first-rate marketing for my place, and we had a very strong open house weekend. Whenever I interacted with others in the process (from the handyman to the title company rep), they always had the most glowing things to say about Matt; he has exceptional integrity and honesty. He also commands a ton of respect from his peers in the industry, which makes him privy to deal flow and market information, and sets the stage for a better negotiation. Matt works incredibly hard for his clients. Although my condo was a relatively small deal for him, he was so attentive and responsive. He personally handled so many of the details for my sale and took calls at any hour. Whenever any little "issue" came up with the buyer, Matt was making calls, proactively reaching out to resources to find a resolution or answer before I could even worry about it. If you're looking for an agent in the Palo Alto and Peninsula area, you have the whole package with Matt!" "Matt is in a class of his own, and there surely is no other agent in the area who is as professional and as fun to work with. He is very low-pressure to work with, but gets things done and puts plans in motion at lightning speed. We sold our property incredibly quickly (others in the same building are still for sale weeks later), and at a price that exceeded our original target. I now consider Matt a good friend after working together on my sale, and I would surely look to him first for any future real estate transactions in the SF Bay Area. Highly recommended!!!" "Matt is a very knowledgeable, honest, and highly skilled professional realtor. The very first house in Palo Alto of his recommendation is becoming my home! It took only 4 days to have an offer accepted since I met Matt. Without Matt, there is no way for me to be able to have my own home in a beautiful neighborhood of Palo Alto close to down town. He has truly changed my life. I moved from the East Coast 1.5 years ago, but several Realtors have not been able to help me to find a place or a house for me. He has patiently listened to my unrealistic wishes and brought me a solution both to quality of life and finance. He has good networks, and works very closely with those people to get job done. He worked with my mortgage banker, Jonathan Wyant (he is also excellent!) closely and efficiently to tackle with issues discovered from unexpected food zone change. I strongly recommend Matt, and will definitely ask him when I buy/sell my next house." "I JUST WANTED TO TAKE A MOMENT TO LET YOU KNOW WHAT A PLEASURE IT WAS TO WORK WITH YOU ON OUR PRUCHASE. THE LEVEL OF PROFESSIONALISM EXHIBITED BY YOU IS TO BE ADMIRED. YOU HAVE CREATED A MASTER-PIECE OF A BUSINESS IN THE PENINSULA, NO OTHER PERSON OR GROUP COULD DO WHAT YOU HAVE DONE WITH THE STRENGTH AND LONGEVITY IN THIS ART OF FINDING GREAT PROPERTIES AND MARKETING THEM”. I ALSO WOULD LIKE TO THANK YOU FOR THE PERSONAL ATTENTION YOU GIVE TO THE CUSTOMERS LIKE US, A REMINDER OF KINDNESS, CONFIDENCE AND COURTESY DOES NOT GO UNAPPRECIATED. SUCH REMINDERS RENEW EVERYONE’S COMMITMENT TO CUSTOMER SERVICE. THANK YOU FOR THE JOY OF MAKING PEOPLE FEEL GOOD. "Fastest sale ever! Matt did an excellent job with an other unit in our building. Glad we decided to invite him over to talk about listing our unit next spring time. Next morning he showed up with a potential buyer and presented us with a cash offer. Never needed to go to Market! Very professional and eager to make things work. Modern paperless workflow. "Matt was instrumental in finding our new condo. He worked tirelessly, at all hours of the day and week to see the purchase process through to closing. We were lucky to find Matt and appreciated his professional assistance." 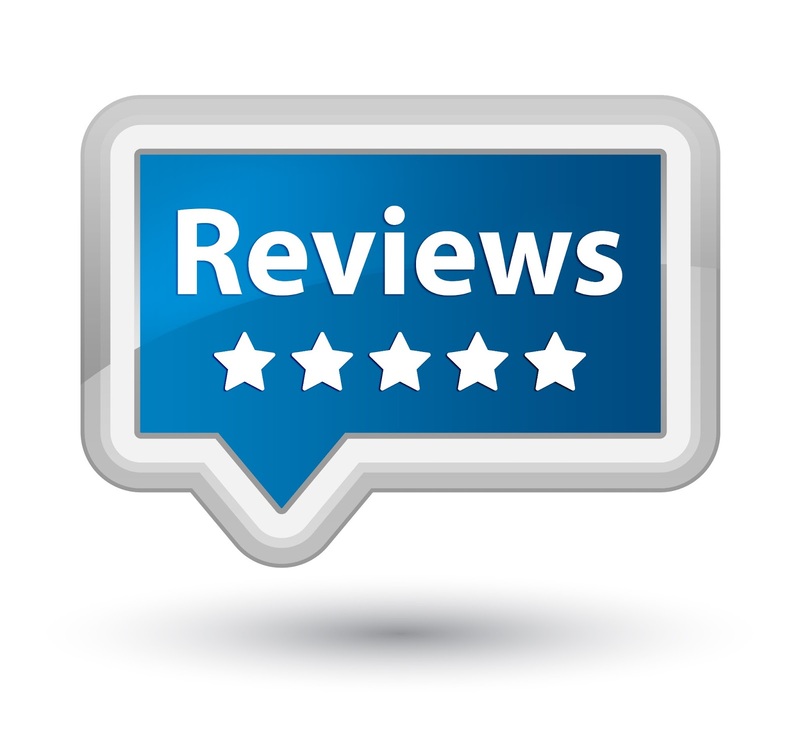 -Dr. James & Amanda C.
"Matt helped us get into a great place in the area that was in our limited price range. We approached him on short notice and he was respectful and accommodating even after others had written us off because we are young. Matt knows his stuff and has a great feel for the market. When drawing up paperwork, he was efficient, focused, and readily answered questions. Throughout the process he was friendly and professional. I can't thank Matt enough for treating us so well." "Matt was the missing piece to my puzzle to getting a house in the super competitive Palo Alto market. Before meeting Matt, I made several offers on homes in Palo Alto and none of my other realtors could get them accepted. To say the least, I'd become very discouraged and almost given up hope of owning a house in Palo Alto.. But, then I met Matt. Matt is full of knowledge, passion and determination, which was such a breath of fresh air. He had put my mind at ease re-assuring me that he will get me a house in Palo Alto, regardless of the amount of offers. With over 6 confirmed offers on the home that I fell in love with, Matt promised me that "I will get you this house", and sure enough, he did! Matt is not only an outstanding realtor but an incredibly giving and generous person. If you're looking for a connected, knowledgable realtor who offers high-level customer service with a "can do" attitude then I highly recommend Matt. He really is the go-to-realtor in Silicon Valley and a great person. I will definitely recommend Matt to all of my friends, family and co-workers. He is not only my realtor, but he's become my friend. Matt, I'm so thankful to have met you and thank you for everything!" "Matt was friendly, knowledgable and very efficient. He had amazing amounts of energy for the task at hand and was willing to talk after-hours in order to get things done. When we had issues with the loan, it was Matt who called, checked in and provided reassurance (not the lender). We would be happy to work with Matt again in the future." "Matt is just Awesome!!! We wanted an agent that could help us sell our house while finding us a new place. After talking to several agents, we decided to list with Matt because of his expertise in the Palo Alto area and his responsiveness. And we are so glad we did. He was realistic about the market and the listing price. He took care of everything for us - from arranging for cleaners, to staging the house to fixing stuff. The house got sold within a week with multiple offers and way above our asking price! The same was true when it came to buying a house. He always made sure he had our best interest. He helped us find our dream house in 10 days - we were nervous about the entire bidding game. But he worked his charm this time too and was able to get our offer accepted out of 11 bids. We truly enjoyed working with him - he is also a great human being. We look forward to working with him again in the future and would definitely recommend him to friends and family! "Matt Skrabo was patient & pleasant with my wife and I throughout the process of selling our first home and buying our second, both in Menlo Park. He diligently helped us prepare our first house for sale, held catered open houses, and took out full page ads on multiple occasions. When deciding how to price our house, Matt provided market research, comps to other house sales, current pending transactions and information on market trends. During the search for our new house, Matt would promptly email us MLS listings for review then did his research and took us to each listing we showed the slightest interest in seeing. He met us at basically any time or day that we needed to, and would spend as much time with us as we needed. When we found a house that we wanted to make an offer on he was very prepared and successfully negotiated the deal below the asking price. We enjoyed working with Matt and would highly recommend him to our friends and family. Matt thank you for treating us like we were your only client and always looking out for our best interest."